Johnathon from las vegas, Fred from Edenton & 66 others bought this item recently. 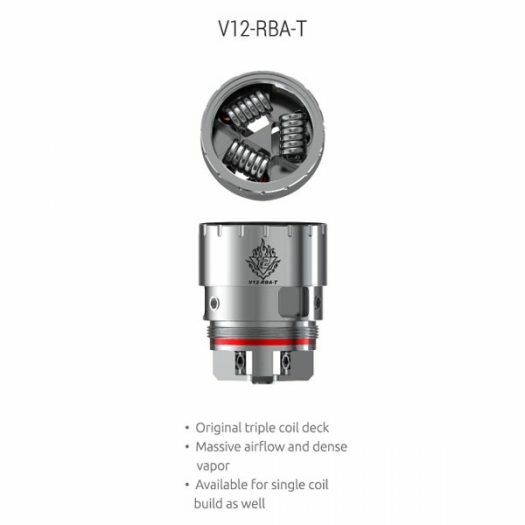 The TFV12 V12-RBA-T does not come with the Sub Ohm Tank Edition. It must be purchased separately unless you buy the RBA Edition. 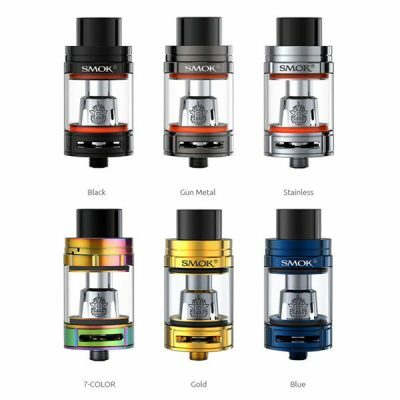 We will only be carrying the SMOK TFV12 Tank Sub Ohm version for now. The RBA-T for the TFV12 is quite amazing! I had trouble with it at first but it was all user error. 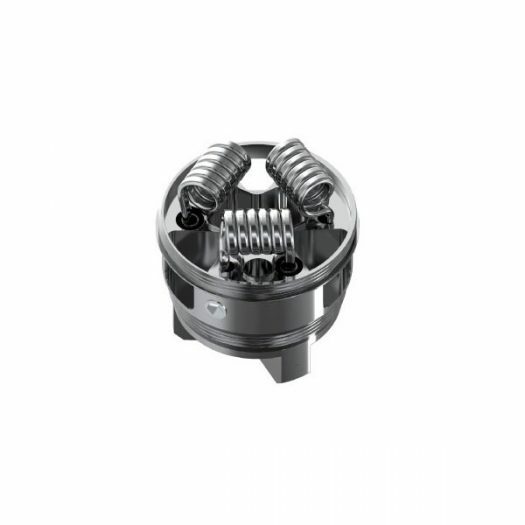 You have to know how to wick it properly as well as making sure to get out the hotspots out of the preinstalled coils before threading it. So much flavor! So much cloud! So much air! This is no beast king, it is Alpha Omega! 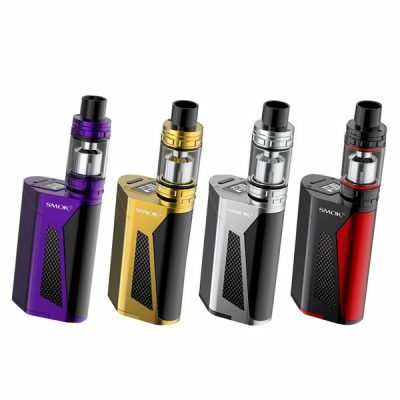 The last update we received from SMOK was that we will be getting our shipment sometime in February. That is all the information we have. Sending us emails will not speed up the process. We will no longer be replying to emails or Facebook Messages asking “where is our order” or “when is my order shipping”, etc. All updates will be posted here. This will be updated every time we receive new information. 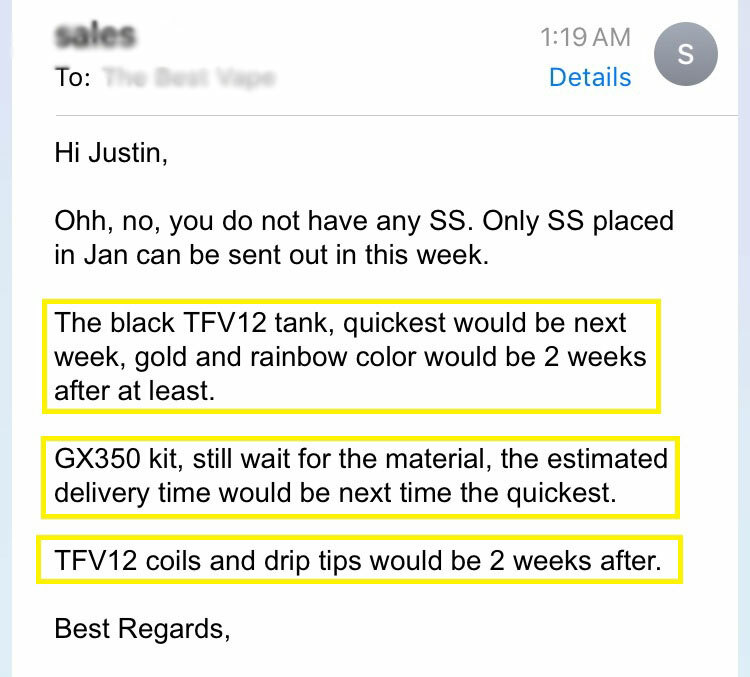 Below is the latest email we received from SMOK about our order. We received this email on 2/13/17 @ 1:19am. This is all we know. We appreciate your patience. First off, thank you to everyone who has been patiently waiting, we know for some of you it’s been hard. We are very sorry for the delay, nobody saw this coming. Please understand that this situation has been a absolute nightmare for us. 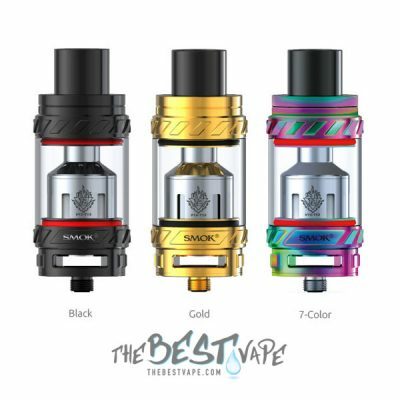 We never expected SMOK to screw up these product releases (TFV12 Tank, GX350 Kit, V12-RBA-T, etc.) like they have. They have had many problems with the material for the Tanks & Kits, and they are not passing quality control. That is why they have not been shipping out orders and that is why you all do not have your order yet. We are aware that a very few amount of shops received some inventory, but it was a very limited amount. And honestly, with the problems they are having it’s probably best that they didn’t ship our order yet because the products would most likely be part of the bad batch. 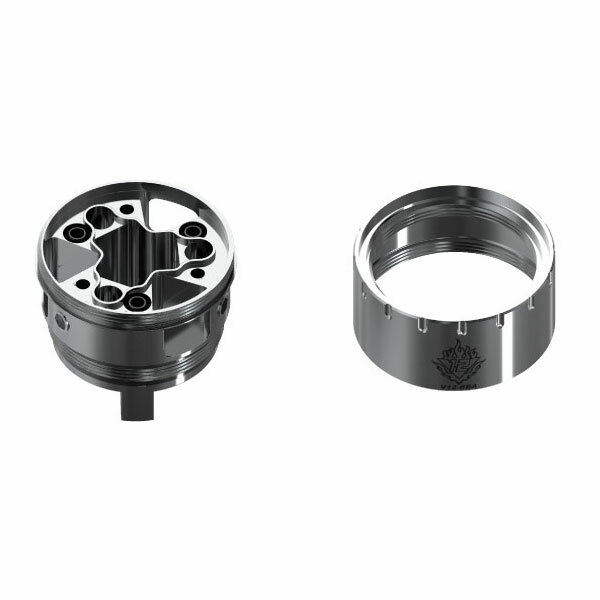 We have been promised that they are shipping a order to us in the next week or so. So please everyone just bare with us. 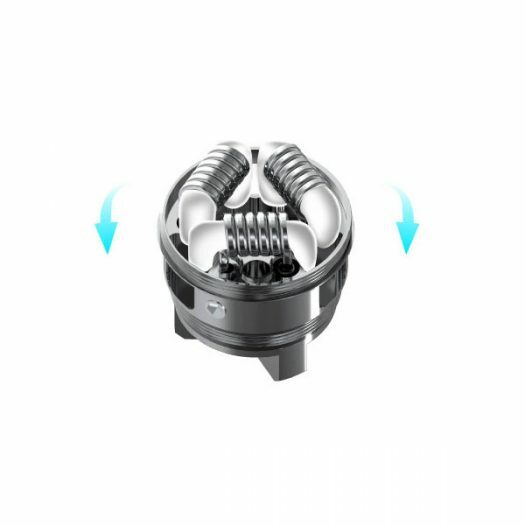 We have no control over when they ship our order, the only thing we can do is stay on top of them like we have been doing every day. We will no longer be able to cancel orders and/or issue refunds. 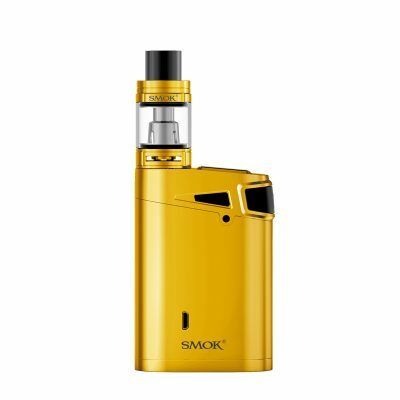 They (SMOK) has put us in a horrible situation and we can’t afford to issue refunds anymore. If you absolutely must cancel your order you can, but a Store Credit will be issued. Our Terms & Conditions 9.4 explains this. There is no way we can issue refunds and stay in business. We apologize for this inconvenience. If you need to get in touch with us please use the first Form on our Contact page, and always include your Order #. Again, thank you for being patient through this process. We are very sorry for the delay.